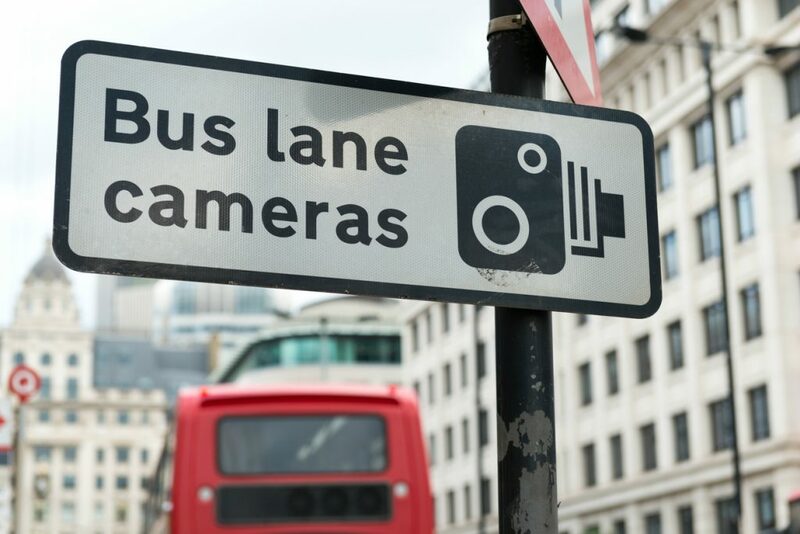 Drivers who veer into a bus lane can receive a penalty even if they’re steering clear of an emergency vehicle. Known as a Penalty Charge Notice, it comes with a maximum fine of £90. Officially, you shouldn’t enter the bus lane at all. If an emergency vehicle needs to pass, it must find its own way through. If you do make room this way, it’s recommended you come to a stop in the bus lane. It may help you dispute a penalty. There is only one situation when a driver can run a red light: when directed by a uniformed police officer. In an age of CCTV and safety cameras that capture those jumping a red light, drivers trying to let an emergency vehicle pass could find themselves hit with a TS10, which means three points on their licence. If the traffic is at a standstill and the emergency vehicle has no way through, it may switch off its siren until the lights change and vehicles are able to safely make way. 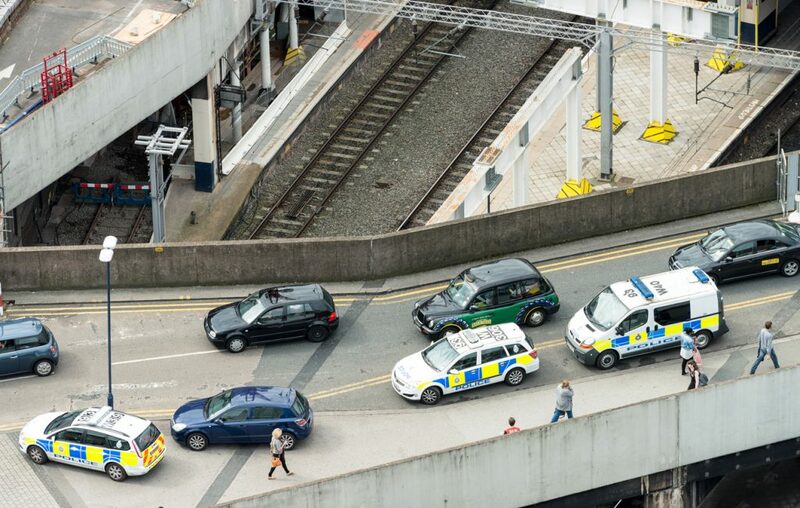 The reason box junctions are filled with bright yellow criss-cross lines is that stopping any part of a vehicle in one is against the law and can result in three penalty points. 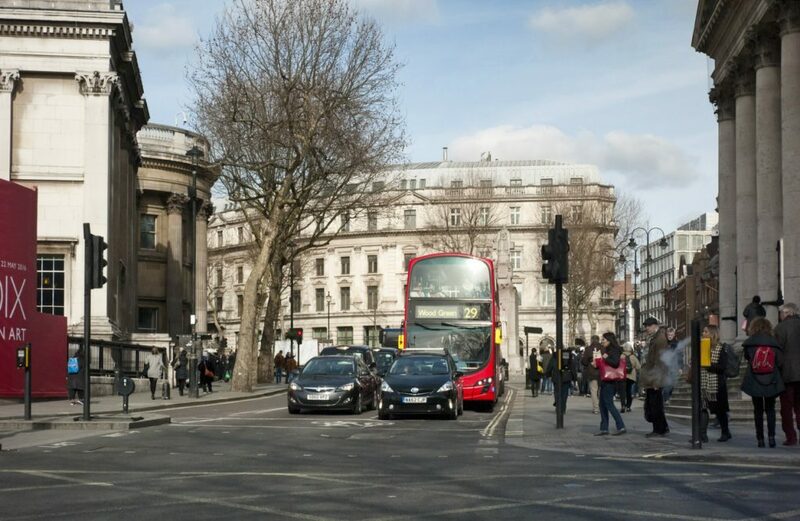 However, the Highway Code (rule 174) allows one exception: you may enter the box and wait when you want to turn right, and are only stopped from doing so by oncoming traffic, or by other vehicles waiting to turn right. Your car’s rear-view mirror may be filled with dazzling flashing blue lights, but that doesn’t give you the right to exceed the speed limit to get out of their way. Stay calm and maintain the correct speed for the road – or you could trigger a safety camera. The emergency vehicle will overtake you when it’s safe to do so. The kerb is in place for a reason: to separate the pavement from the road and keep pedestrians and traffic safe from one another. That’s why in parts of the country where a red route or double yellow lines are present, pulling onto a kerb to make way for an emergency vehicle could earn drivers a penalty. Once again, rules made with the best of intentions, but not for all situations. 1. I know where there is a single lane for traffic in one direction and a single lane and a bus lane in the other. So if a fire tender is blocked by traffic in the single then it is basic logic that traffic coming towards it moves into the bus lane to let it through. 2. So, if a car is on fire after a collision on a crossroads controlled by traffic lights and a fire tender is trying to reach it and its occupants, then no one should drive past a red light to let it through? Of course any vehicle obstructing the fire tender should go through the red light, but obviously with care. 3. Yellow boxes are there for one reason only: to aid the flow of traffic. When an emergency vehicle needs to get through, then that vehicle should be given priority, regardless of other traffic. Another draconian law that needs revising. 4. Speed limits are often broken by emergency vehicles. 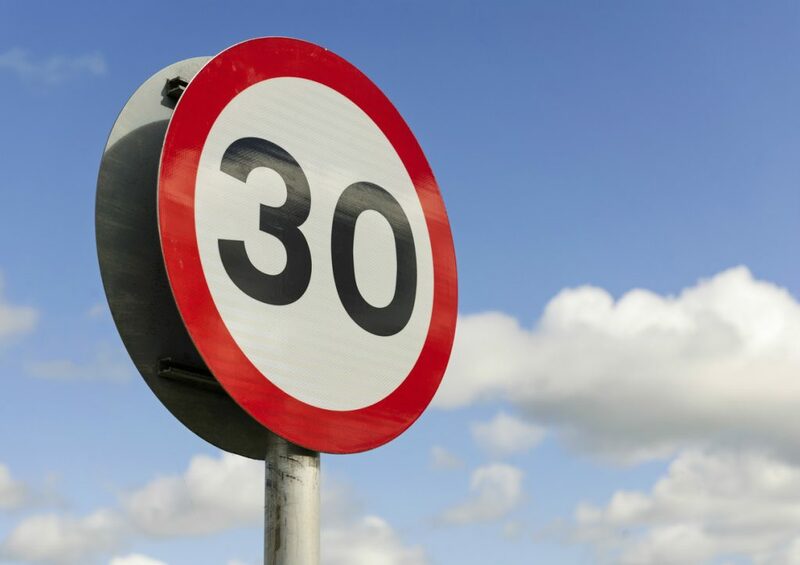 While there is no reason for other vehicles to normally go above a speed limit, no law covers all situations. 5. As with speed limits, pavements should not be parked on in normal situations. But solely for a few seconds to allow an emergency vehicle through is again basic common sense. Green Flag does itself no favours by trotting out verbatim what is in the Highway Code without accepting that there can be exceptions. It takes just one person to get changes in the law. I was not “preaching”, just stating facts. If holding up an ambulance by obeying laws or getting a fine I hope its a lawmaker saying faster .. im afraid most of us COMON SENSE would prevail unheard of among politicians. If someone is desperate to get to hospital in an ambulance, I really don’t care what the law says, I’ll just get out of their way. I always fear that the odd 30 seconds that I delay an emergency vehicle might be the borderline between life and death for someone at the other end. Surely there is some room within the legal system to take into account “mitigating circumstances” if any such action is performed with due care and consideration for other road users. Would it not be better for the emergency vehicle to go into the bus lane ? Bus lanes -the biggest cause of traffic jams in my area and most of the time there is very few passengers on the bus. Personally i do not use them because most of the other passengers have a BO problem. Come on Green Flag how about starting a petition among your members to get a change in the law to protect motorists from prosecution while trying to assist the emergency services from doing their job. Eric Hayman is so right ! So Greenflag, how DO you let emergency vehicles passed? All you have done is point out how not to break the law! My way is apply common sense SAFELY. Not like the motorist, seen in front of me recently, moving to the right into oncoming traffic to let ambulance through coming from behind us!! surely the point is that saving lives should precede any traffic laws. how would you feel if someone said to you “sorry your relation died because no one would move onto the pavement to let the ambulance through”. 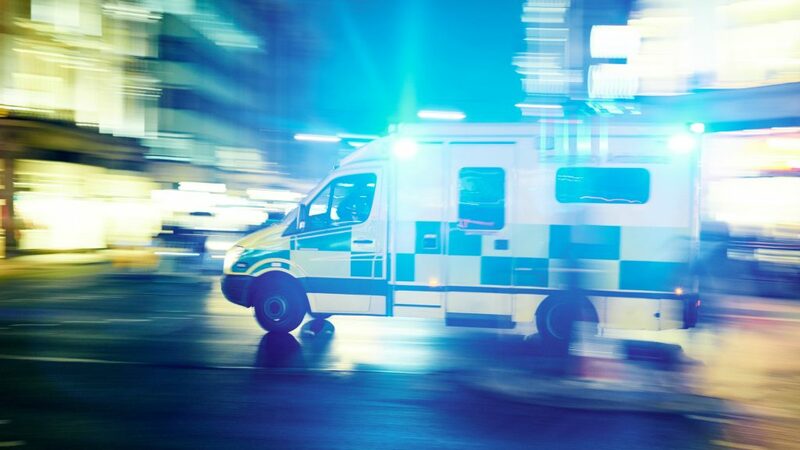 Once again Green Flag states what the law is – not what common sense and morals say one should do when confronted with an emergency vehicle on a blue light call. And no law covers every situation. They have to write something, so why not trot out something that cant be questioned (legally). 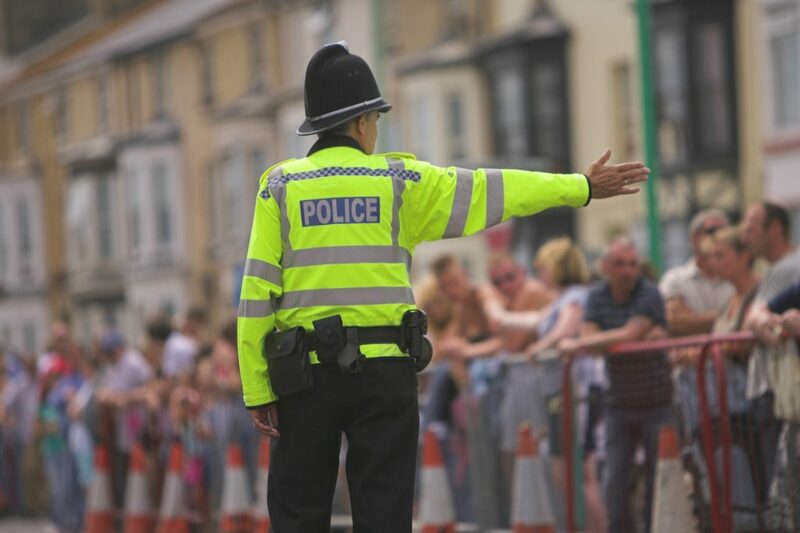 As for the actual subject matter… Police, Fire & Bomb disposal are permitted to break certain motoring laws in response to an emergency, but only if they can safely do so, therefore they have to asses every situation, just as the “aiding and abetting” motorist has to whist assisting then get through. I think Green Flag should have chosen a subject about which they could have actually provided some useful advice rather than this. Plaudits to both Green Flag and those above for pointing out the law and the desire not to delay emergency vehicles and possibly cost someone their life. Whoever makes these laws must be aware of the contradictory result of their dictates, and as they expand motoring law surely they can also review and refine it to make it more appropriate for modern motoring circumstances. As Eric states, ‘it only takes one person to get changes’, or perhaps even one respected organisation could achieve the same? So important that a bloody bus should take priority over an ambulance trying to save a life!! If I had to move into a bus lane to allow an emergency vehicle through, I would do so with no hesitation, so the bus has to wait 5 seconds -big deal. I would relish the opportunity to later argue that in a court, I would absolutely refuse to pay a fine they’d have to jail me! Out of the 33 million vehicles (and therefore drivers) on Britian’s roads it takes only 100,000 petitioners to get a debate in Parliament. Come on all you Respondents! Display your common sense. I notice complaints about Green Flag highlighting these matters – but judging from the responses that have been made (about using common sense, quite correctly in my opinion) it seems that there is a debate to be argued – with perhaps a change in some of the laws ? so Green Flag may be doing us a favour and alerting us about these laws. Perhaps Grdeen Flag as an institution could bring these matters to the light of politicians to be “dealt with” in a common sense manner. Bus lanes should be abolished anyway. Private profit making organisations have commandeered half the road in a lot of places. Why should they get priority over motorists who pay a fortune to use the road? On top of that most bus companies are subsidised as well by the taxpayer. Get rid of the bus lanes! No doubt plenty of excuses will be given about keeping to schedules etc, but why should a bus passenger get where they are going any quicker than a motorist? I am a user of both and I believe that bus lanes are essentially theft of our infrastructure. Vested interests, including the anti-motorist brigade are complicit in this travesty! So many drivers go completely overboard to let an emergency vehicle pass. All that is needed is enough room for the emergency vehicle to pass. Just a slight pull over to the left is sufficient and maybe slowing down a little. Unnecessary to stop or drive on to the pavement. Keep Calm and Carry On. I have a dash-cam in my car which would help in the event of me getting a bus lane fine. I could produce the footage and argue mitigating circumstances and hope the court agreed with me. Although that would not be a given considering today’s laughable legal system. “Rules are for the guidance of wise men or the instruction of fools” One should be prepared to technically break the law whilst maintaining safety. That is what ambulances sometimes do to get through quickly and it would be a foolish copper who made an issue of a potential saving of life. Whilst the article is stating Highway Code facts about driving it isn’t really, as its title suggests, informing anyone how to let an emergency vehicle pass. So often drivers see or hear a siren and suddenly lose all common sense and driving logic – swerving, stopping or pulling onto pavements. Half the time drivers actually make a situation worse by doing so! A more positive article more about what to do, rather than what not to do, would be more useful may I suggest. what is the reason of those stupid yellow boxes at the traffic lights another money grabbing idea these people who sit in their little warm offices and doodle with a pen with no common sense single traffic lighting is all it takes. who ever makes these stupid yellow lines in the cross road boxes need to also change the traffic light sequence so no one would need to be in the yellow boxes same as two lanes going into one when getting through the lights its dangerous no common sense that’s whats wrong with these people.